Do you like alcohol? Do you like cats? Do you slightly fear cats in real life, but can't help gushing at photographs of them anyways because they're oh-so-photogenic and you have oh-so-much time on your hands? If you said yes to any of the above (if not, who are you? 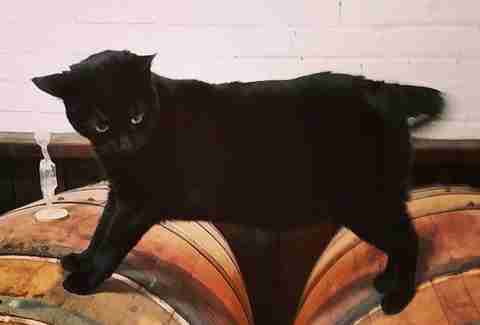 ), check out Brad Thomas Parsons' Instagram account, Distillery Cats, inspired by the long-standing tradition of utilizing feline prowess to fight off rodents in distilleries. 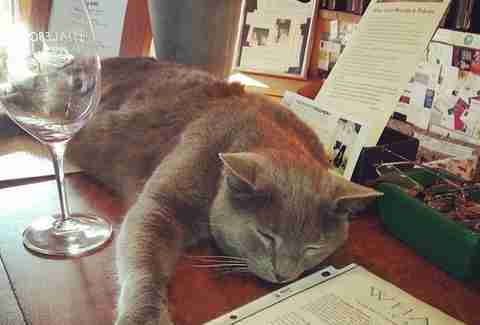 You'll find cats in all of states of sobriety (probably the very sober kind, though) hanging around all facets of the alcohol industry: perched on kegs, splayed across bar stools, assessing wine menus, investigating the physics of beer bottles, and more. Behold, the apex of feline grace. If we were as small and lithe and could plank as majestically on a barstool, we'd have no reason to retire home after painting the town red. "What is my true essence? Do I have a greater purpose? What happens when we die? Is there a god? What is the point of living just to exist? 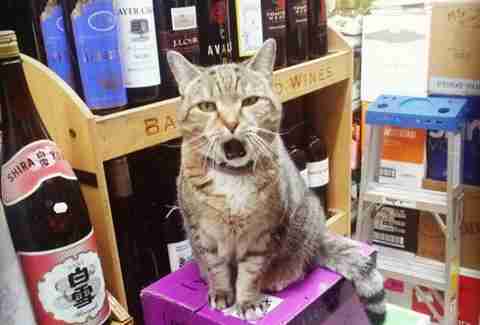 WHICH JERKFACE DRANK ALL MY HONEYED WINE?" 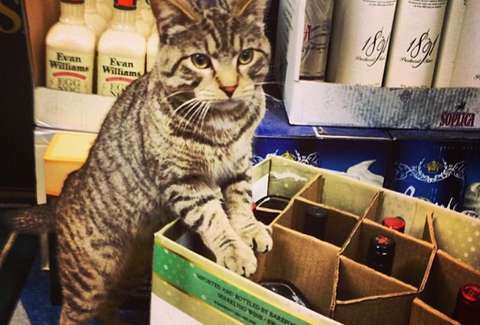 Step 1: remove this kitty from his perch on that box of Yellowtail. Step 2: face the wrath of a thousand projectile hairballs. "Is this what they call being stuck between Scylla and Charybdis?" 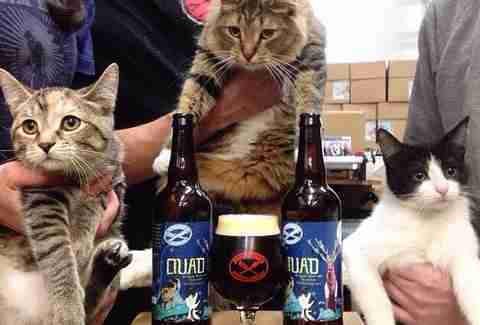 Portrait of Cats in Close Proximity to Three Headless Humans, Two Open Bottles, and One Glass of Promise Incarnate. 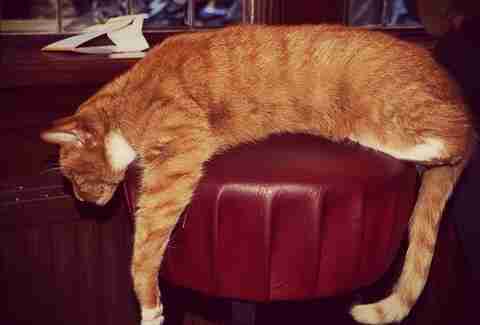 "Now kindly swivel around for I am parched." 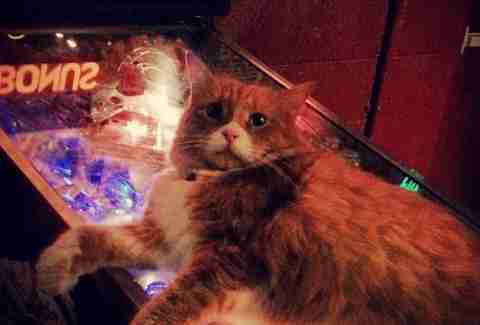 Apparently a cat cannot sleep on a pinball machine in peace. The nerve of two-legged mortals.